You must have seen a barista pour out a perfect heart or rosetta before with no hesitation and you might have even thought it was easy. I know I’m 100% guilty for having underestimated the skill and practice that goes into latte art… Until of course I tried it myself! 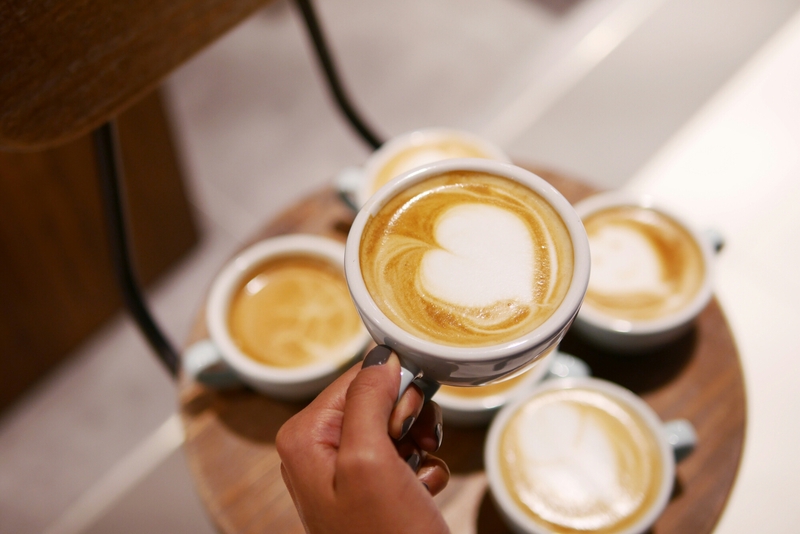 I’ve been growing with Hong Kong to find increasing love for coffee, evidenced by me Exploring Artisan Coffee Shops in Hong Kong and finding the 4 Best Cappuccinos in Hong Kong. As the weeks go by, I keep discovering new coffee shops I want to add onto those lists – so don’t be surprised to see yet another coffee article from me some time in the near future. If you love coffee even half as much as I do, I’d highly recommend going for a fun latte art class. It’s extremely challenging and hence satisfying when you finally are able to make even a deformed heart. Or in my case, it was a balloon. We only managed to make proper shapes after the 3rd or 4th go! There are many classes available in Hong Kong but I decided to enquire at one of my favourite coffee shops: Espresso Alchemy. They are true coffee professionals and I always consistently get a perfect cup of anything here. Plus, they also make good food! See the full review here. 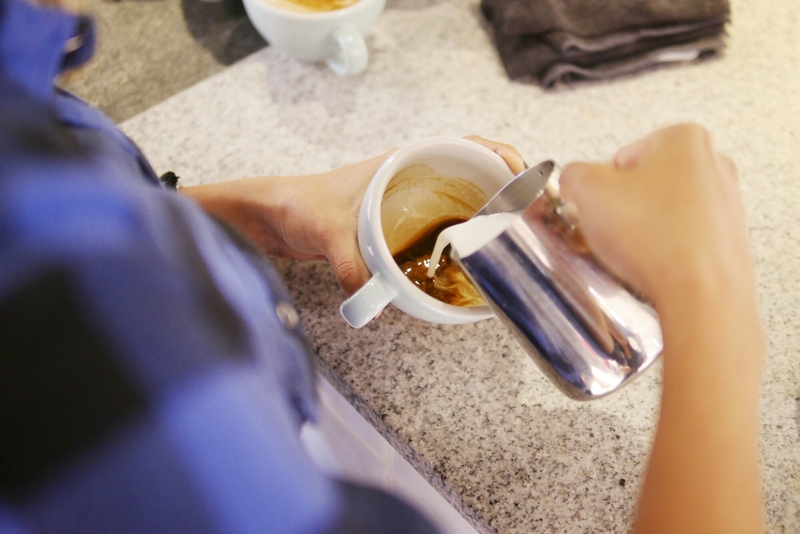 At this class, we were all able to learn the fundamentals behind pouring latte art and were able to make some sort of deformed though still decent shape. We also learnt “etching” and drawing characters from these shapes. Now that I’ve tried it, watching Instagram latte art videos has practically become a hobby!